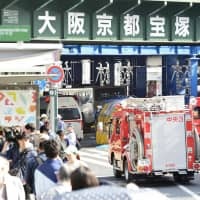 OSAKA - Osaka Ishin no Kai, the nation’s only Osaka-based national political party, changed its name Tuesday to Nippon Ishin no Kai in an attempt to increase its appeal in other parts of Japan, especially Tokyo. With the name change, attention now turns to whether the third-largest opposition party can revive its political ambitions outside the Osaka region for the next Lower House election. 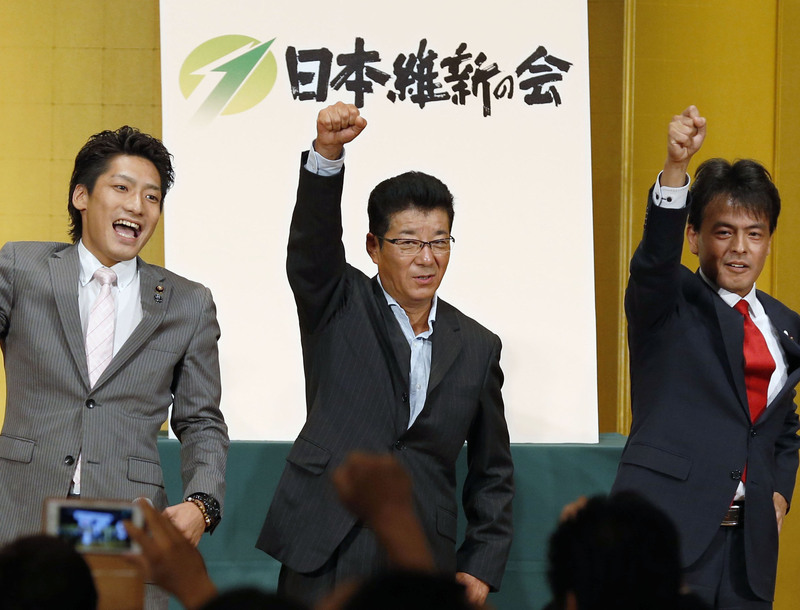 There is also the question of whether a name change will draw the party closer to new Tokyo Gov. Yuriko Koike, who is pushing for the kinds of cost cuts Osaka Ishin officials advocated, and implemented, in Osaka. Cooperation between Nippon Ishin and Koike could also draw interest from Nagoya Mayor Takashi Kawamura, head of the local Genzei Nippon (Tax Reduction Japan) political group, who is close to Nippon Ishin. Kawamura supported Koike’s successful run last month for Tokyo governor, and this has drawn speculation that an alliance between the political leaders of Tokyo, Nagoya and Osaka is now in the making. Matsui said cooperation with Koike will ultimately depend on what kind of policies she will pursue. An official from Genzei Nippon participated in the meeting as an observer. This autumn, Nippon Ishin no Kai, which does not yet have an official English name but is likely to use “Japan Restoration Party,” is expected to introduce a number of bills that will emphasize reform, especially cutting political expenses and the salaries of Diet members. The party, which has 27 Diet members, also plans to continue to push for the Diet to formally designate Osaka as Japan’s second capital. The name change means that the party is back to using the same name it had when the Osaka Ishin movement went national in 2012. After a tie-up with former Tokyo Gov. 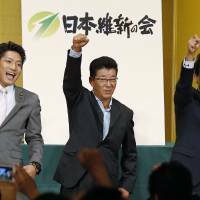 Shintaro Ishihara and several other smaller, mostly conservative, nationalist parties that favored neoliberal economic schemes, the party managed to win small numbers of seats in Diet elections but was clearly split between co-founder Toru Hashimoto, former Osaka mayor, and his Osaka followers and Ishihara and his Tokyo followers. 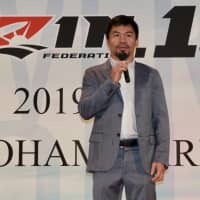 After a stormy political marriage, the two factions split the party last year, with the Osaka faction renaming itself Osaka Ishin no Kai, with “Osaka” in hiragana. 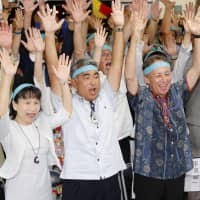 Party officials attempted to convince voters that by placing “Osaka” in hiragana, it represented a political philosophy of change and reform, not a geographic location. 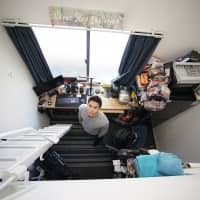 But voters outside the region didn’t buy it, and in the July Upper House election, district winners were only from Osaka and neighboring Hyogo Prefecture.